Since I'm talking about two books here, it's going to be a long post, so grab a coffee, a cup of tea or whatever, sit back and relax. With the completion of these two books and Wilkie Collins' The Moonstone (post coming shortly), I've finally made my way out of reading the 1860s. I could probably stay in that decade for quite a long time, since it really seems to have been a banner decade for mystery/crime/detective novels, but it's seriously time for me to move on. 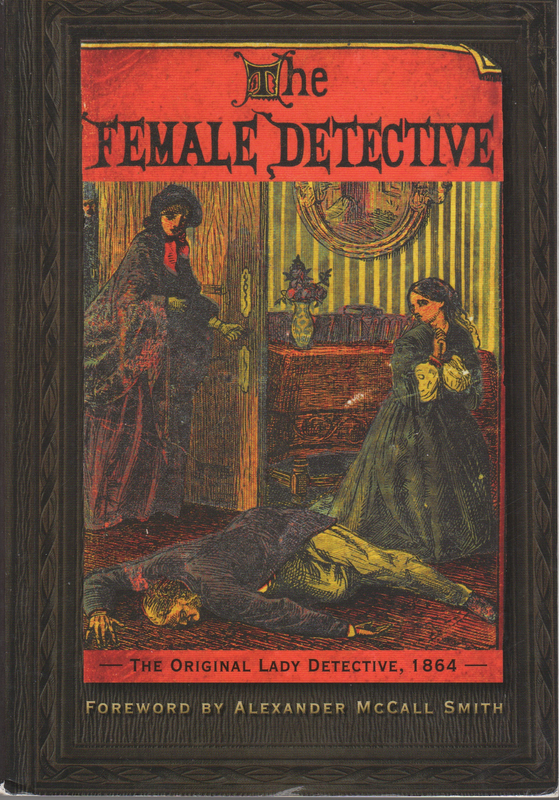 I hadn't really planned on including Revelations of a Lady Detective as part of this project since I figured one book about a Victorian woman detective would be enough of a representation, but after reading Forrester's The Female Detective, quite frankly I was rather disappointed. "I write in order to show, in a small way, that the profession to which I belong is so useful that it should not be despised." "...if there is a demand for men detectives there must also be one for female detective police spies. Criminals are both masculine and feminine -- indeed my experience tells me that when a woman becomes a criminal she is far worse than the average of her male companions, and therefore it follows that the necessary detectives should be of both sexes." "... in a very great many cases women detectives are those who can only be used to arrive at certain discoveries ... the woman detective has far greater opportunities than a man of intimate watching, and of keeping her eyes upon matters near which a man could not conveniently play the eavesdropper." "it does not follow because a man breaks the law that he is therefore heartless." Oho, I'm thinking after I finished reading what she has to say for herself here, this is going to be great. And it was right up until I got to "The Unraveled Case," which is the third story in this book. Now, I consider myself to be a very patient reader, but this case irritated the crap out of me. In the first two adventures of our female detective, we are clearly shown how being a woman had its advantages in solving these cases, allowing our Miss Gladden (the name only shows up once in a while, so I'll use it here, although she says in her intro that she's purposefully left out her name) to insinuate herself into a situation that wouldn't have been appropriate for a male. That's just not the case in "The Unraveled Mystery," where she looks at a detection failure and gives her opinion on what went wrong. There's absolutely nothing about this case in which her being a woman has any relevance whatsoever -- in fact, it's not even her case, and reads like an excuse for Forrester to amaze and wow us (which he did not) with his deductive prowess. The same thing happens again in "A Child Found Dead: Murder or No Murder," which isn't Gladden's case either but rather a manuscript given to her by same guy who had her take a look at the earlier case I've just mentioned; finally, in "The Mystery," we're given a story which as she says, "never came under my observation." Here's the point: if I'm expecting to read about a "female detective" and only four out of seven cases fit the bill, well, to me, that's a fail. A big fail. Had Forrester stuck to a plan and given us the work of an undercover female detective in each case, it could have been so much better -- as it was, I was extremely disappointed. 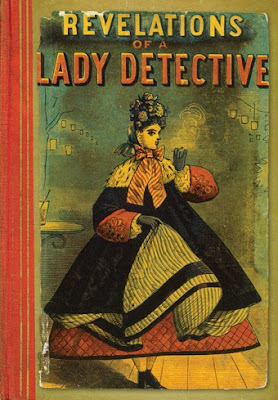 However, I found only great delight and much joy in reading Revelations of a Lady Detective, by William Stephens Hayward, whose Miss Paschal found herself not only in the thick of a number of strange cases, but also faced certain death at one point. In his introduction, Mike Ashley explains why the two women detectives are so different; why they come from "a different line of evolution," which I'll leave people to read on their own. We are treated (yes, treated) to ten of Miss Paschal's experiences here, ranging from a countess who somehow has no income but is fabulously wealthy to a secret society that meets at an old mill and practices the old tradition of vendetta to the story of a wealthy woman who is afraid that a conniving woman is slowly sinking her hooks into her son's fortune. While Paschal is the first to admit that her cases are solved mainly by "accident" or by "chance," the fun is in watching her insinuate herself into various environments where she has ample opportunity to figure out what's going on before taking steps to bring the criminals to some sort of justice. My absolute favorite story is "The Nun, The Will, and the Abbess," a rather gothic-ish sort of tale of a young woman whose entire life was spent in preparation to take her vows and live out her life among the Ursuline sisters in a convent. Hayward outdid himself with this one, and while I won't say why, it is truly a standout among the other nine stories. If you had to choose only one of the two, I'd definitely go with Revelations of a Lady Detective. 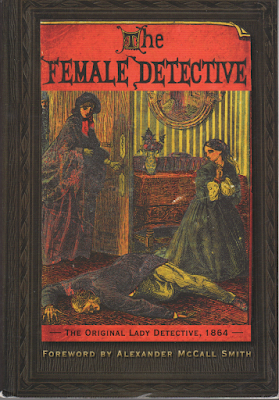 For one thing, the stories are much better as a whole, for another, they all focus solely on Miss Paschal and her job as detective, and three, they're so much easier to read, obviously written more for the general reading public than was The Female Detective, published the same year. However, in both books, the novelty of a woman working with the police not as a true employee but independently, gathering financial reward for her work, is clearly realized; the two women detectives often find it difficult to carry out what's needed to be done because of their respective senses of empathy but they both eventually put their own feelings aside to do what they need to do, and in both books, it is writ large that justice doesn't always necessarily mean a set of manacles and a trip to the local nick. I've noticed that many readers find in both that there's no actual "detecting" going on, but in a big way, that's just not the case. The women portrayed here are more or less undercover "spies" as Miss Gladden will tell you, and while they may not be busy with a magnifying glass or taking fingerprints, they are gathering information/evidence that will make it easier for them to bring a case to its end. In "The Mysterious Countess," for example, our Miss Paschal lies in wait for something to happen once the house has settled down, actively follows her quarry, observes the suspect, and makes an incredible discovery that leads to satisfying conclusion. How is that not "detecting?" Quite frankly, if you want something along the lines of Kinsey Millhone, you shouldn't be reading a Victorian novel. So much more goes on here under the surface in both books, but it's time to bring this post to a close and besides, both books have been written about extensively so more information and analyses are widely available for perusal. I will cautiously recommend The Female Detective because of its milestone status, but wholeheartedly endorse Revelations of a Lady Detective because bottom line -- it's just plain fun.